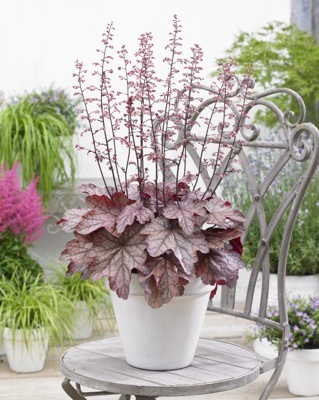 I’m going on a trip and I’m taking… Heuchera villosa ‘Plum Power’! The most easy-going and good-looking travel companion you can wish for. Whether it’s freezing cold in Sweden or blazing hot in India…'Plum Power' won’t complain! 'Plum Power' can withstand both hot and cold weather conditions. Even temperatures to USDA zone 4b are no problem for this strong plant. 'Plum Power' is disease-tolerant and can be planted in any type of soil. 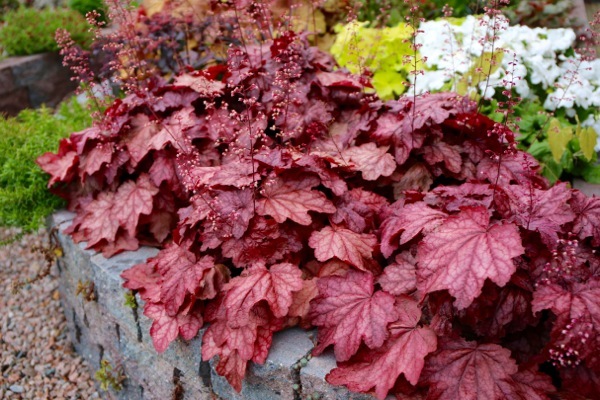 It grows well in full sun, partial shade or shade. 'Plum Power' has a sturdy growth habit. 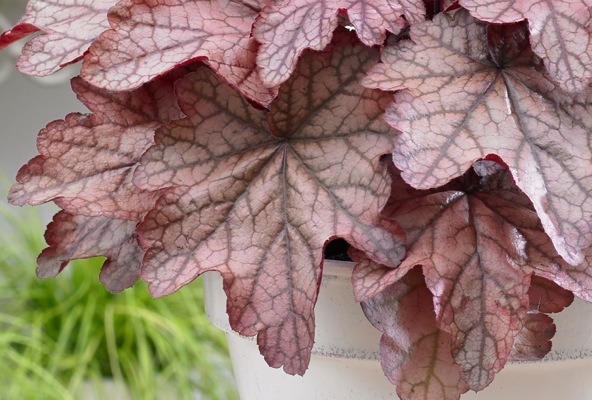 'Plum Power' has a beautiful, striking, dark leaf markings. 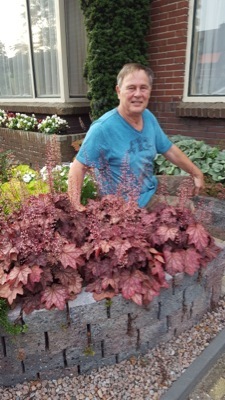 Its foliage color changes throughout the year. From burgundy red to classy purple-pink with a touch of silver. The size of its leaves can be up to 8" wide and 14" long. Starting in late June, 'Plum Power' produces dark pink flowers, which will appear again in September. This charming Heurchera reaches a height of 14" and a width of 20". 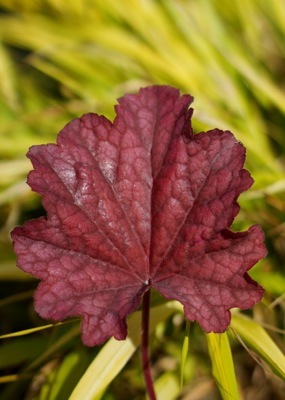 'Plum Power' is suitable for use in containers on your terrace or patio, in perennial borders or in mixed containers. 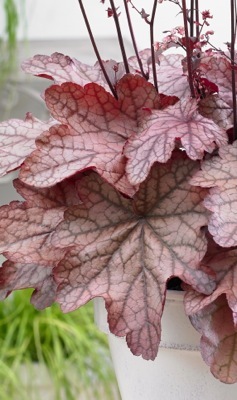 Heuchera villosa 'Plum Power': come rain or shine, you can always rely on this strong beauty!